Do you have time to set up a breakfast table for yourself in the morning? Wouldn’t it be better if all you had to do was to push a button to make your breakfast instead of going through cooking and setting up of the breakfast table? Sometimes, you don’t even have time to have a bowl of Cheerios with milk, isn’t it? 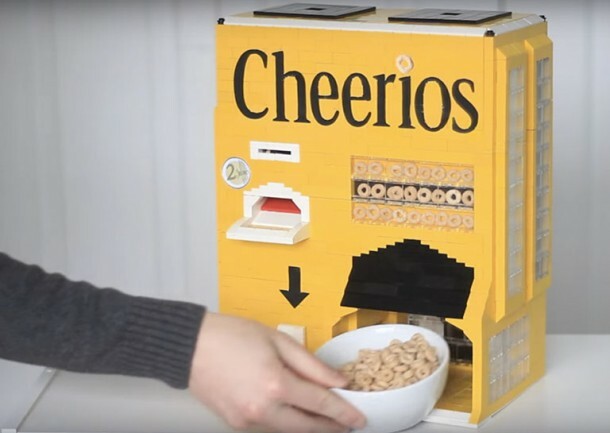 The solution to the breakfast problems is here in the form of a machine that accepts a 2 Euro coin to serve you with a bowl of Cheerios with milk. The contraption has been created by a student who adores LEGO and yes, it is made entirely out of LEGO. The machine only accepts the 2 Euro coin and any other coin is dispensed back via the coin chute. How is this achieved? It is quite simple; only 2 Euro coin has the exact width to start the gadget! Anyways, once you insert a 2 Euro coin, an activation light is switched on and you can push the white button on the front to engage the cereal dispensary system. 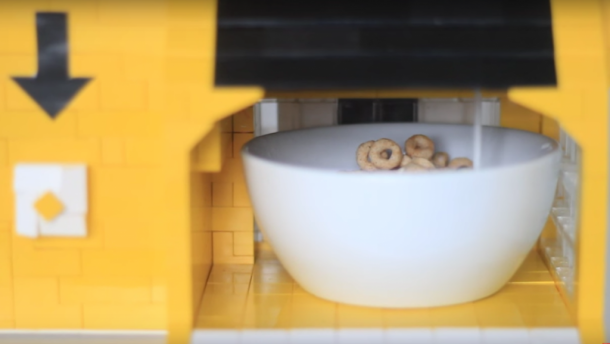 All that you need is to place the bowl in the appropriate position and a gear rack will release a fixed amount of Cheerios into the bowl. Next, you need to add the milk. This amazing feat is achieved via the motorized part of the contraption that lifts up a gear thus allowing the milk to be poured from a bottle for 15 seconds. After 15 seconds, the lever moves down thus stalling the gear whereby the milk flow stops. 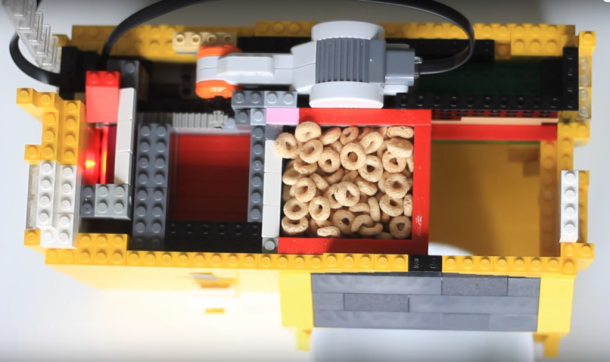 The machine maintains the perfect ratio of cereal and milk and features a side drawer that houses the utensils and the spoons. Would you like to use this machine for making breakfast? !